This year's Golden Apple Award winner is Prof. Mark Conger from the Comprehensive Studies Department at the University of Michigan. 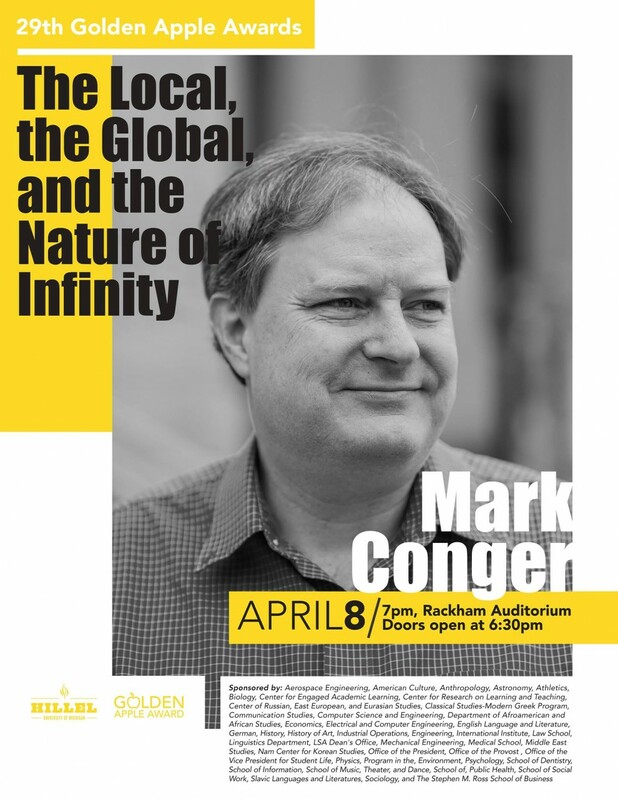 Come out and hear his ideal "Last Lecture", entitled "The Local, the Global, and the Nature of Infinity." The lecture begins at 7PM and the reception will follow. Free Zingerman's Delicatessen will be served during the reception, and there will be a gift card raffle for attendees!